BFCSA: Trump has no intention. Refugees guilty of wanting a better life. Time to settle this in 14 days. BFCSA: Government $millions spent on searching for Flight MH370 in the wrong place. We knew that!!! Tagged in: $1000 cash back by Banks???? Is this a zombie bank? A bank that would have been bankrupt if it had not been bailed out by the US Govt? Thanks Mate - You have a way of coming up with 'the goods'. You are simply brilliant, helps my case enormously. My broker also used a COMMONWEALTH BANK AGENT REGISTRATION NUMBER. 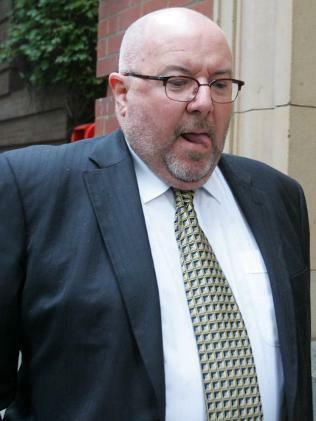 NAB: Mark Joiner refers to 'Unloved and Unwashed"
In my opinion bank executives should either write off their fraudulent loans or they should be hung by their necks. IMF AUS: Meetings in Euro over $1b "S&P" faulty synthetic derivative products. Judges: "Time to reform the entire justice system"
This is just another sector of that big all-encompassing blanket known as 'white collar crime'. BoQld and Macquarie Banksters borrowers not our consumers? Yeah Right! Question about the case: did the Doyle's claim any of the expenses associated with the loan or investment as tax deductible? GST? Time to free us all from BANK SLAVERY. JAIL the Bankers. Bank executives must be prosecuted for their criminal actions. BFCSA: ASIC Medcraft's Obssession with Self Interest: Terry & Marlene know! TheBrotherhood:Banksters ignored problem loans even after its own reviews unearthed "a dirty underbelly of bad loan officers,"
Look at their age too!! Call that prudent lending practices?? Pfft.. I am also quite happy to produce our fraudulent Loan Application Forms in court. ARIP - Asset Rich and Income Poor. Wonder who taught Mr Cassismatis this! !